Robert joined Hickey & Evans in the fall of 2010 and has primarily represented clients in the areas of estate planning, probate, general civil litigation, business transactions, insurance defense, employment law, and appellate practice. 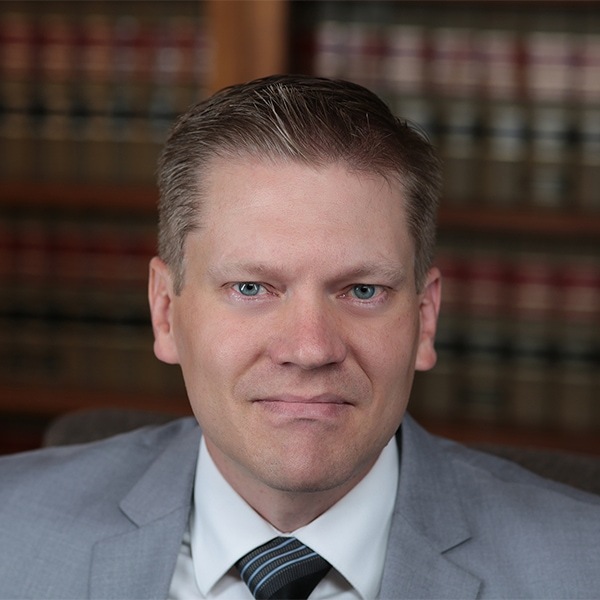 Robert regularly appears before state and federal courts throughout Wyoming, has successfully argued before the 10th Circuit Court of Appeals, and has resolved numerous cases through the use of mediation and arbitration. He excels in his use of advanced software and technology in furthering his client’s interests. Robert enjoys spending his free time practicing Brazilian jiu jitsu, going to the gym, renovating his home, working in the yard, serving in his church, camping, fishing, hunting, and traveling with his family. He and his wife, Teila, were married in 2005 and they have four children – Mylee, Johnny, Bridger, and Brielle. Lexington Insurance Co. v. Precision Drilling Co., 830 F.3d 1219 (10th Cir. 2016). Worman v. BP America Production Company, 2011 WY 54. City of Cheyenne, Wyoming v. Board of County Commissioners of Laramie Co., 2012 WY 156. University of Wyoming, College of Law, Laramie, Wyoming, May, 2010 J.D.